"- Surgery that modifies or improves the appearance of a physical feature, irregularity, or defect. - reconstruction of cutaneous or underlying tissues, performed to improve and correct a structural defect or to remove a scar, birthmark, or normal evidence of aging." "- surgery concerned with restoration, reconstruction, correction, or improvement in shape and appearance of body structures that are defective, damaged, or misshapen by injury, disease, or growth and development." aesthetic surgery : "Plastic or cosmetic surgery." Plastic surgeon: "A surgeon who specializes in reducing scarring or disfigurement that may occur as a result of accidents, birth defects, or treatment for diseases, such as melanoma. Many plastic surgeons also perform cosmetic surgery that is unrelated to medical conditions, such as rhinoplasty to change the shape of the nose." 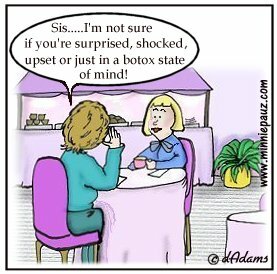 Popularly known by one of its trade names, Botox or Dysport, it is used for various cosmetic and medical procedures." Hyaluronan injections temporarily smooth wrinkles by adding volume under the skin, with effects typically lasting for six months." Laser Skin Resurfacing : "One of the most popular anti-aging remedies is laser skin resurfacing, which improves the appearance of fine lines or wrinkles, scars and hyperpigmentation (discolored areas of the skin), primarily around the eyes and mouth. It can also be used to treat large areas of the face." "Looking a little old? 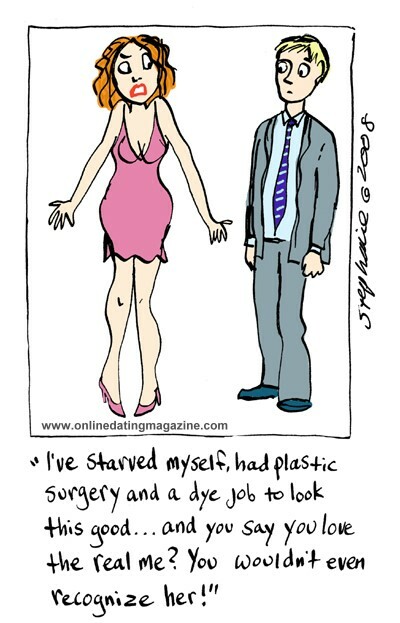 Get a new face and body on this episode about plastic surgery." "Wendi and Todd talk about plastic surgery and what they think about it." "Three Chinese women were left stranded at a South Korean airport after immigration officials said their passport photos did not match their faces." How safe is cosmetic surgery ? "Cosmetic surgery is becoming increasingly popular - there are now around 100,000 operations in the UK each year. But for those tempted to improve their looks surgically, how safe are the procedures?" 3. Research the health risks associated with these activities"
Not happy with your face lift ? Or is that war your waging..."
"is a portmanteau of the words California and fornication, appearing in Time on May 6, 1966 and written about on August 21, 1972, additionally seen on bumper stickers in the U.S. states of Arizona, Nevada, Colorado, Oregon, Idaho,and Washington. It was a term popular in the 1970s and referring primarily to the "haphazard, mindless development [of land] that has already gobbled up most of Southern California", which some attributed to an influx of Californians to other states in the Western United States..."